Compassionate and life-giving God, we are horrified at the violence in Paris. Hold back the hands that kill and maim; turn around the hearts that hate. Grant instead your strong Spirit of Peace – peace that passes our understanding but changes lives. May Bishop Pierre Whalen, and all our brothers and sisters in the Convocation of Episcopal Churches in Europe, know and feel your presence among them. 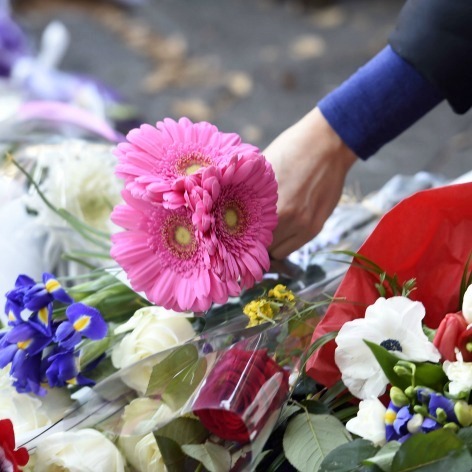 We join in prayer today with our Muslim brothers and sisters, particularly our friends at the Institute of Islamic and Turkish Studies here in Cary, who have condemned the actions in Paris and called on faith communities to join In prayer that we all may continue forward in the ways of God’s justice, love, and peace. We pray this through Jesus Christ, your son and our Lord. Amen. The Holy Eucharist and Installation of the Most Rev. Michael Curry as XXVII Presiding Bishop of the Episcopal Church was held at the Washington National Cathedral on Sunday, November 1, 2015. 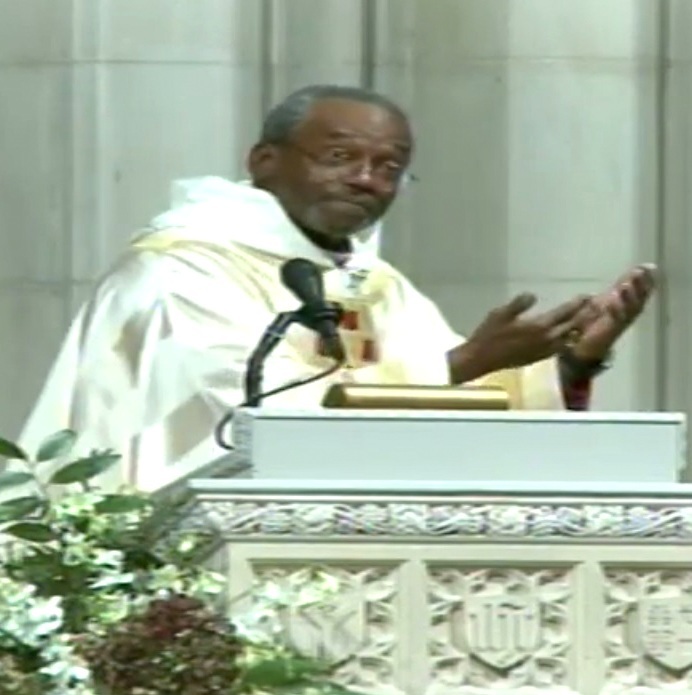 See Video of Bishop Curry’s homily. See Video of the entire service. Download PDF of the program. See Gallery from News and Observer. See Video: Presiding Bishop Michael Curry: ‘This is the Jesus Movement”. NC Diocesan House has announced staff changes. The Rev. Canon Michael Buerkel Hunn will leave the diocese to serve on the staff of The Episcopal Church and to Join Bishop Michael Curry when he becomes Presiding Bishop. Catherine Massey will become Canon for Transition and Pastoral Care. Margo Acomb, executive assistant to the bishop, has announced her retirement, and the diocese welcomes Elizabeth Dawkins to succeed Margo Acomb. Click here for details. The diocese has announced that the Rt. Rev. Anne Hodges-Copple has been appointed to serve as Bishop Pro Tem during the time of our diocese’s bishop transition. The full statement is posted on the diocesan website. November 1, 2015 is the working date for Bishop Hodges-Copple to begin serving as Bishop Pro Tem. See video. Additional details will be provided. Read Bishop Curry Elected Presiding Bishop. Please post this as an Event. For Category, choose Festival. Title is “Lobster Fest Cary“. Lobster Fest Cary brings the fresh taste of Maine lobster right here to Wake County! The lobsters are pulled out of the water, packed in a cooler truck in Maine and driven overnight to Cary. Dine-In and enjoy a social event or Take Out and make your own event – Live Lobster, Cooked Lobster, Lobster Rolls – you decide! Pre-ordering online (lobsterfestcary.org) is a must, as quantities often run out early in the day, and we hate to disappoint Lobster Lovers.